The first Warwick Islamic Education Summer School, held in September 2016 marked the formation of a learning community consisting of practitioners and researchers, from diverse disciplinary backgrounds, interested in exploring issues related to education, Islam and Muslims within the context of contemporary and historical Muslim societies. In reviving the Muslim educational tradition of taaruf, openness to learning from one another, the Summer School offers a collegial academic space within which critical inquiry and reflective practice in Islamic Education are encouraged. Each annual meeting explores in-depth a specific theme related to the teaching and learning of Islam within diverse formal and informal educational settings. The aim is to enable the formation of a new transformative Muslim culture of learning and reflective inquiry through rethinking Islamic Education within the context of a secular and culturally/religiously diverse Western Europe and the wider Muslim world. A further central objective is to improve the quality of educational thinking and pedagogic practice within the diaspora and global Muslim communities essential for facilitating effective civic engagement, social welfare and economic prosperity. 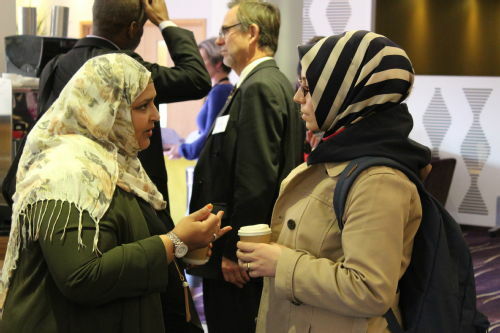 The Summer School has led to the establishment of the Warwick Islamic Education Research Network which facilitates critical dialogue between the educational narratives of Islam and the West and fosters collaborative research and knowledge-transfer among diverse groups of Muslim educators and the wider community of researchers, practitioners and policy-makers in Education, Social Sciences and the Humanities. The Network contributes to the emergence of Islamic Education Studies as an interdisciplinary field of research, teaching and professional development. Contemporary Muslim societies are facing a complex set of social, political, and economic challenges informed by a deeper reality of a faith tradition experiencing a profound process of historical transition and change. It is not surprising to observe that Muslims are struggling to self-transform and bring about mature and confident modern expressions of their faith. There are wider historical dynamics, such as the encounter with Western secular modernity and colonialism, as well as more recent factors, such as Islamophobia and a new wave of anti-Muslim prejudice within the rhetoric of political populism in the West, that engender defensive and reactionary Islamic responses. Within such an increasingly sensitive situation, Muslims appear less at ease with diversity within their own faith heritage and with the cultural and religious plurality of modern life. Muslim perceptions of the religious and non-religious ‘other’, women's rights, leadership and observing justice within gender relations, for example, appear to be the issues of wider public concern which provoke some of the most intransigent religious, social and political attitudes and views. These are controversial issues that give rise to highly ideological and conflicting perspectives. Often the pressure from secular liberal expectations and the demands for cultural/traditional conformity can lead to the phenomenon of cognitive dissonance which increases feelings of perplexity and ambiguity. Attempts to overcome such psychosocial discomfort often leads to adopting mutually exclusive simplistic hermeneutic positions that avoid engaging with the complexity of the issues and show the predominant features of a secular and religious literalism. Within such ahistorical and literalist hermeneutics, wearing the headscarf can be associated with the oppression of women and there can be the insistence that in sharia the role and status of women in the family and public space are fixed. What appears to be missing is an inclusive reflective educational hermeneutics of engaging with the tradition and today’s reality to generate meaningful Islamic responses which inspire reconciliatory and integrative perspectives. Such a critical hermeneutic imagination can contribute to the formation of contextual and embodied Islamic religious and spiritual authority capable of articulating Islamic guidance within the lived reality of communities of the faithful both in the diaspora and the wider Muslim world. However, how can such a reflective Islamic imagination which is essential for bringing about transformative leadership be nurtured today? This poses further educationally significant questions: to what extent are the training programmes in traditional Islamic seminaries, the hybrid Islamic higher education institutions -largely associated with the transnational religious networks - and the theological schools established within a wider secular higher education system capable of facilitating the formation of such an Islamic contextual/embodied and transformative faith and educational leadership? There are acute educational and pedagogic issues facing the faith leadership training within the European Muslim diaspora. But what appears to be most neglected is consideration of the extent to which existing provision is inclusive of the female presence, voice and representation, and how women respond to undergoing such a training. The need for transformative female faith and educational leadership and authority gains urgency when one recognizes the limitations of, for example, using male dominated medieval Islamic legal hermeneutics and authority frameworks to engage with the myriad of issues directly affecting women. The presence of a transformative educational culture within Muslim communities remains crucial for facilitating engagement and understanding as well as developing meaningful responses to the challenges. The successful formation of the first historical Muslim community, the ummah, under prophetic leadership, was deeply informed by what can be discerned as a set of reflective and inquiry-led pedagogies and a transformative educational vision embedded within the Divine message. It appears that the Qur’an first formed a reflective educational culture in which the desire for inquiry and learning was the means of facilitating the gradual transformation of the human condition to bring about embodied expressions of psychosocial/ spiritual maturity, wellbeing and social justice and welfare. A close reading of the Qur’an suggests the presence of a holistic perception of human nature embracing diversity defining the human condition in which the distinctiveness as well as the interdependence of both genders are emphasized. These teachings have gradually been turned into a practical ethics of mutual respect and the recognition of dignity, difference and complementarity between man and woman. There is what can be discerned as an ‘ontological-level gender equality and justice’ in the Qur’an, as both men and women are said to be created from the same essence. Therefore, human beings contain degrees of femininity and masculinity, yet preserve an embodied difference revealing distinctive ways of being in the world. Qur’anic religious and spiritual language keeps the same level of equality as the expressions of ‘faithful men and women’ are often mentioned together. The historical cases of female political leadership (the Queen of Shebaa, for example) are referred to without any negative qualification. It appears that the Qur’an, as part of its transformative educational strategy, systematically pushed for the application of these values of recognition, equality, dignity and justice to empower women within the social reality of its first addressee where women were subject to an unfair, if not oppressive, treatment. Furthermore, the Qur’an directs critical appraisal and demands accountability from both genders without stereotyping or privileging. A close educational hermeneutics within which the Qur’an’s overall social reform projects unfold, might offer a more contextual and realistic reading of the Qur’anic passages which deal with what are today perceived to be controversial issues such as women’s inheritance, female witness in the courts of law, polygamy and wider issues related to gender relations including sexual ethics. Within an ahistorical and literalist hermeneutics, it is impossible to grasp the Qur’an’s progressive reform agenda on the social status of women as part of its wider vison of a balanced just polity. The crucial role of women and their leadership in the life of the Prophet and the success of his mission have often been overlooked: for example, the significant role of Khadija, Muhamad’s first wife, in building his confidence when the first experience of revelation left Muhammad shaken, shocked and confused. Similarly the role of Aisha, whose curiosity, questioning mind and deep love for learning contributed to preserving the Prophet’s living tradition, the prophetic memory that is normative for all Muslims to emulate and remember. And the figure of Fatima, the Prophet’s daughter, whose dignity and uncompromising commitment to justice has become a role model for all faithful men and women. This early egalitarian and open attitude towards women gave rise to a flourishing early female Muslim scholarship, particularly in the emergence of the sciences dealing with the prophetic reports (Hadith). The authoritative role of the Prophet’s wives and female companions in disseminating prophetic knowledge and wisdom has been crucial in keeping continuity in Islamic memory over generations. Within medieval Muslim societies, however, male dominance produced patriarchal socio-political political and legal systems that have marginalized the agency of women in all aspects of private and public life, including women’s presence and participation in the spiritual and educational culture of mosques. It appears, with few exceptions, that Muslim women were mostly acknowledged within the transmission of the prophetic reports rather than enabled to become experts within various religious knowledge genres and thus assume legal authority and leadership positions in public affairs. With the gradual reification and intellectual stagnation within the Muslim tradition, religion appears to have been mostly used to justify often unjust cultural practices reflecting the predominately unfair power structures of patriarchal societies in many parts of the Muslim world. Religious reasons expressed in the form of authoritarian moralizing power regimes by and large continue to shape unequal gender relations within the challenging conditions of modern life. It must be noted that such concerns about women rights are not confined to Muslim societies. Despite many radical reforms and positive gains, the agenda of improving women’s status and addressing exploitation and inequalities affecting women in Western societies remains incomplete. It is important to note that issues around gender and sexuality in general cannot be addressed in isolation but need to be considered within the intersection of faith and a host of other structural factors such as social class, traditional and tribal cultural systems, race and ethnicity. Reflective and contextual hermeneutics discerning values, teachings and principles regarding gender relations embedded within the Qur’an and the prophetic traditions. Enhancing female participation in higher education within Muslim minority and majority societies. Educational reforms addressing gender inequity within contemporary Muslim societies: cases from diverse parts of the Muslim world, e.g. South East Asia, the Middle East and Africa. The programme will be delivered through interactive workshops, lectures and presentations. There will be opportunities for networking and special sessions for researchers and practitioners to present their work. The aim is to facilitate a cross-fertilization of ideas and to share best practice among the emerging inter-disciplinary community of researchers, practitioners and policy-makers. Participants will be supported in formulating and discussing their research interests and will receive peer support and have opportunities to interact with experts in the field. The Summer School is open to all researchers and educators who are interested in developing their understanding of the educational culture and pedagogic practice within Muslim communities and their interaction with wider social and educational institutions. Participants will also have the opportunity to learn more about the Islamic Education initiative at Warwick, research expertise within WRERU, and the wider research and taught programmes at the Centre for Educational Studies at the University of Warwick. If you have any questions about booking please get in touch with Stephen Gardner at S.Gardner@warwick.ac.uk or if you have any questions about the programme please email a.sahin@warwick.ac.uk, the course leader. Please note the number of places are strictly limited to 25 bookings allocated on a first come first served basis.